I installed the new developer App on Samsung Galaxy sIII it went smoothly. Any clue on that one ? Thanks for the feedback. We are working on it. Just attempted to install Developer App on my S4 Android 4.2.2 and get same error. We don’t manage to reproduce this error. Do you have another DevApp installed (compiled in our cloud) or our old launcher for the old cloud? Same problem here, error 103 on both HTC one X (4.2.2) & Galaxy Tab 10.1 (4.1.2)… Are these devices too old ? But do you have the old Launcher or another DevApp compiled in the cloud currently installed in your device? I uninstalled the old launcher on my HTC and still couldnt install the new one (error -103). I had nothing else apart my previoulsy released cocoonjs game (not a dev app, but signed & installed from google play). I compiled yesterday a dev app and was surprised to find 2 icons of my game, and one seems to be a light version of cocoon launcher ? It’s working so far…everything is even smoother but I dont have any ads, is it because of that launcher ? This is fixed already and about the ads check the log to see if there is any error. I cannot install the Cocoon Developer App on Android. Same error message: error code:-103 This is on Android version 4.0.3 on HTC Sense 3.6. Googling on this error had posts about App/JDK signing on the older Android devices being unable to recognize SHA256 hash functions - maybe that’s a place to start. It has something to do with the Signing Process. If JDK1.8 is used, to be precisely. I already wrote @andoni.martin a message about this. What you can do to avoid is, to uncheck the signing step in your project setttings and to manually sign your apk file with JDK1.6 and your key. 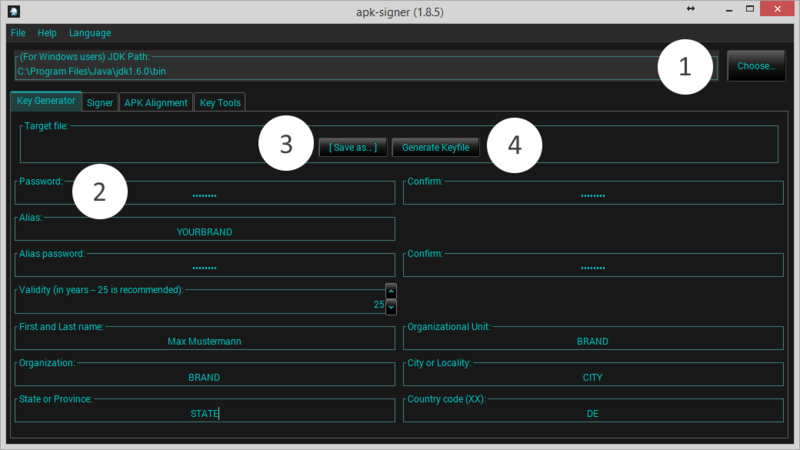 Sign and align your Android application (apk) file effortlessly with the APK Signer tool by Hai Bison. You either can use your keystore file, or create one. I also can’t install Cocoon Developer App on Galaxy Ace IIe phone running 4.1.2. Error code is the same, -103. I had done a factory reset minutes ago. Any progress on fixing this? I did try to install games made with Cocoon.io, no problem there. EDIT: Oops sorry, I think I get it now. The idea is to manually sign a custom developper app compiled from cocoon.io’s cloud, using the method described by Andy? You are right Good success with your game projects. Is there actually any reason to go all the way and sign it, if that app is just for testing? I see, thanks! I actually just read about implementing Google Play Games Social and it all makes sense now.